Everyone knows that Halloween candy is bad for your teeth, but not many understand what candy can do to your digestive system. While too many sweet confections can give you a stomachache, certain types of candy are worse than others when it comes to affecting your digestion and overall health. While the gooey gobs may taste good going down, be aware of the pitfalls, especially if you have any existing gastrointestinal issues. Manhattan gastroenterologist Dr. Shawn Khodadadian wants you to enjoy the holiday while you protect your health. Here’s a rundown of popular candies. Chocolate is a Halloween favorite. Some kids (and adults too) won’t have anything to do with candy that’s not covered, coated, or cored with deep, rich chocolate. But chocolate contains caffeine, a known diuretic so it can cause diarrhea if ingested in sufficient quantities. Unless you want to spend the day after on the toilet, moderate your consumption. Many chocolate candies have nuts in them, however, and nuts contain fiber, protein, and some healthy fats. Of course, surrounding those nuts with sugary chocolate doesn’t exactly create a healthy meal, but at least you’re getting some benefits from your binge. 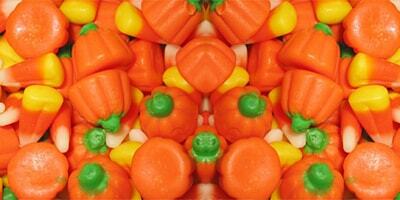 Candy corn and sweet treats that don’t include nuts or chocolate also contain no fiber. This type of candy can build up in your stomach and in sufficient quantities, may stop you up and cause a very uncomfortable case of constipation. Licorice often is made with wheat flour, believe it or not. The flour is used as a binder to hold the candy together. So, if you suffer from Celiac Disease, stay away from it. Always check the ingredients to be safe. When you start reading the ingredients of Halloween candies, you may find that the additives alone are scarier than any limping zombie or transparent ghost. Enjoy the holiday, but eat your Halloween goodies in moderation, preferably with plenty of water or for dessert after a healthy, fibrous meal. If you know you suffer from specific ailments, steer clear of the candies that may hurt you or cause your symptoms to worsen. If you experience new symptoms, contact Manhattan Gastroenterology today and we’ll find out if your Halloween candy has triggered a more serious health issue. Be safe this Halloween. Scare up some fun, but nibble on your candy like Dracula might: in small, manageable bites.